We love this multi-function storage shelf. It reminds us of the ancient Tibetan prayer cabinets. 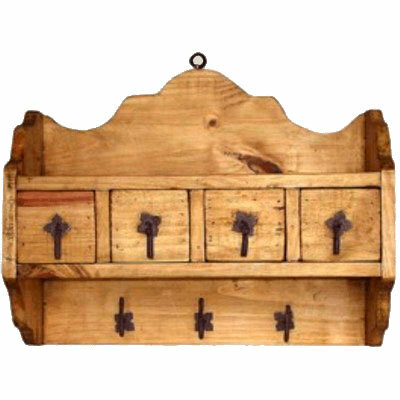 Such a versatile piece -- can be used in the bathroom, entryway or kitchen to hang keys, store toiletries or even hang light jackets. It also would be perfect as a simple backdrop on which to display small talavera.